Jill Moore asked me to introduce Attorney General Josh Stein as the kick-off speaker for last week’s Local Health Directors’ Legal Conference. I was happy to do it. It turned out to be an eye-opening experience because I learned a lot about the opioid crisis in North Carolina. The previous weekend I had read an article by Margaret Talbot in The New Yorker called “The Addicts Next Door” about the impact of opioids in West Virginia. It has the highest overdose death rate of any state in the country. The article brought home the impact of opioids and heroin on individuals, families, and communities. I highly recommend it if you want to move beyond the statistics and get a feel for the human costs of the epidemic, as well as the daunting challenges of responding to it. Josh Stein and his wife, Anna, a public-health lawyer, co-taught the opening session about opioids and North Carolina law. Josh has identified the crisis as a top priority for the NC Department of Justice, and Anna is the point person on the issue for the NC Division of Public Health. Their presentation was first rate. Here is some of the information they shared. In 2014, drug overdoses became the leading cause of accidental death in North Carolina—surpassing motor vehicle deaths. I still am stunned by that fact. The number of overdose deaths has increased from 150 in 1999 to 1,110 in 2015. Anna showed a slide about how the nature of overdose deaths also is changing. 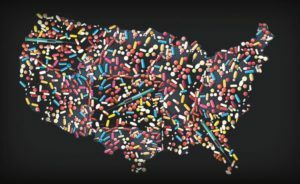 The majority of opioid deaths in North Carolina now are caused by cheaper and more accessible illicit opioids (such a heroin and fentanyl, a highly toxic synthetic drug) rather than prescription drugs. Fentanyl alone killed 332 people last year, and the number is projected to be higher this year. 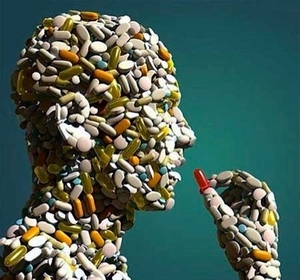 According to a recent article in The New York Times “heroin can be one-fifth the price of opioid pills like hydrocodone and oxycodone.” Josh said law enforcement officials recognize that we can’t arrest ourselves out of the epidemic. He indicated that he talks regularly with sheriffs whose workload has been taken over by this drug crisis. Josh and Anna Stein also talked about legal changes related to the epidemic. A Good Samaritan Law was passed in 2013 to give immunity to anyone who administers naloxone to someone experiencing an overdose. 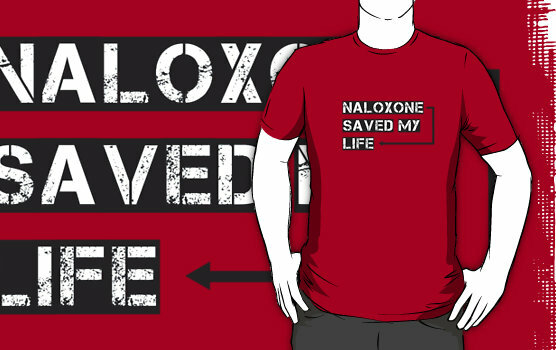 Naloxone is a miracle drug that dramatically reverses an overdose if it has not gone too far—it is like something out of a science fiction movie. Law enforcement officers and first responders are continuously called on to administer the drug to overdose victims in many communities. In Berkeley County, West Virginia, for example, naloxone was administered 223 times in 2014, and 403 times in 2016. North Carolina also now has a statewide standing order authorizing any pharmacist to dispense naloxone to a person at risk of experiencing an opiate-related overdose, or to anyone who might be in a position to assist an at-risk person. That kind of order is remarkable and it highlights the unusual steps being taken to fight this epidemic. The Strengthen Opioid Misuse Prevention (STOP) Act currently is pending in the legislature, and one thing it would do to reduce potential addiction is limit initial opioid prescriptions by doctors to no more than a five-day supply. Jill also shared with me that officials in North Carolina have been leaders in recognizing and addressing this epidemic as a public health crisis. 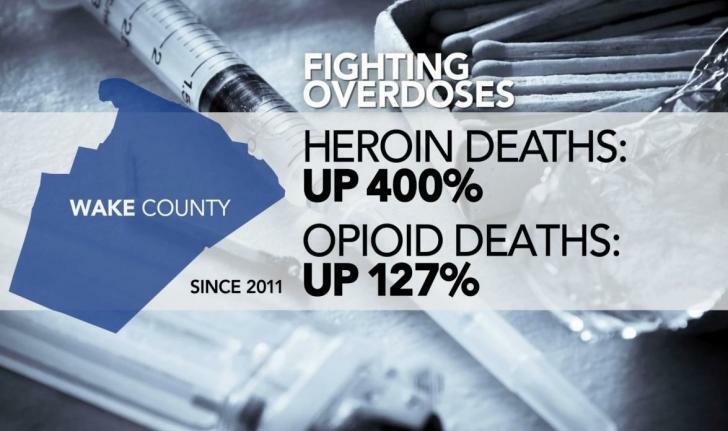 In the early 2000s, for example, Wilkes County’s health department was involved with others in developing Project Lazarus, which led the way in the movement to increase access to naloxone. Jill does a great job of supporting public health professionals in North Carolina, and the conference was terrific. I left thinking that there must be a role for the School in addressing the opioid crisis. In talking with a handful of colleagues over the last week, I have begun to imagine how some things might come together. Here are a few preliminary ideas. There has been some interest in the School offering a course in community leadership. Could we offer a course—in multiple locations across the state—and focus on community leadership to address the opioid crisis? This issue touches many of our clients, including public health officials, city and county managers, law enforcement, elected officials, corrections, and court officials. Anita Brown-Graham has consulted with many people about the possible work of ncIMPACT, and a recurring theme has been that it should be a neutral convener around challenging policy issues. Could ncIMPACT convene stakeholders in different counties to develop local plans for addressing the crisis, and could the Strategic Doing process that Janet Holston has identified be a helpful approach? These are just a few ideas, and I trust others will come up with even better ones. Kim Nelson recently asked in a meeting if the School somehow might work on the opioid crisis. I did not immediately see how, but her question has kept me thinking about it. Thanks, Kim. The session at Jill’s conference provided me with more context to see a potential role for the School in addressing this important challenge for our communities. 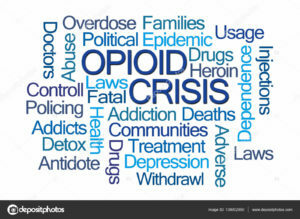 Please let me know as soon as possible if you are interested in coming together to discuss how the School (and you) might be involved in an initiative about the opioid crisis? One recommendation from the strategic foresight process was to encourage greater communication and collaboration among faculty members. This issue provides an opportunity to bring together colleagues across many different fields to have an impact on a serious issue. Of course, we would want to understand what already is happening to be sure that we complemented existing activities and added value. My guess is that some folks with the School already are involved in thinking about or working on the issue. Let me know if you want to be included in a brainstorming meeting, and in the meantime please feel free to share any thoughts about a possible initiative. Thank you, Mike, for being part of last week’s conference and for drawing attention to this issue. It’s no surprise that local and state public health officials were early to recognize this crisis. One of their core functions is to monitor population health, and to identify and respond to significant health risks. You’ve noted the escalating death toll of opioids in recent years, but deaths are truly (pardon the cliché) the tip of a very large iceberg. The US DHHS reports that in 2015, an estimated 828,000 people used heroin and an incredible 12.5 million misused prescription opioids. And where there are people who inject drugs, there is also bloodborne disease—including hepatitis C, which killed more Americans than any other infectious disease in 2014. In NC, legal syringe exchange programs are one of the efforts to address this collateral damage of the opioid epidemic. Of course, public health systems are just one important player in effective response. The problem affects many of our client groups, and as you note, some of us have already begun exploring ways we can work together to support them. I look forward to our continued conversations on this issue.